The Mediterranean Diet, as I’m sure you’re well aware, is chockfull of delicious, healthy foods. Now, naturally this list isn’t exhaustive and depending on who you ask, the items may vary – some may say “add this” and “don’t and that”. But this list came from a booklet that was written by a company that manufactures weight loss and health & wellness products that are heavily based on the Mediterranean diet and ancient Mediterranean herbal recipes. 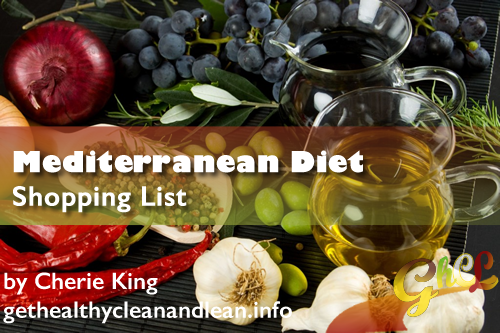 So, this Mediterranean diet shopping list is a great starting point for you!